Forget all of your previous misconceptions and stereotypes of Birkenstock sandals, because the throwback footwear has officially been reborn. We may have initially been reluctant to embrace the return of this '90s trend, but after laying eyes on Givenchy's rendition of the once-stigmatized shoe, we are officially sold. And Givenchy isn't the only brand jumping on the ugly-chic shoe train. A number of high-fashion and high-street designers are putting their own spin on the popular spring/summer trend, and we've rounded up the best of the best. 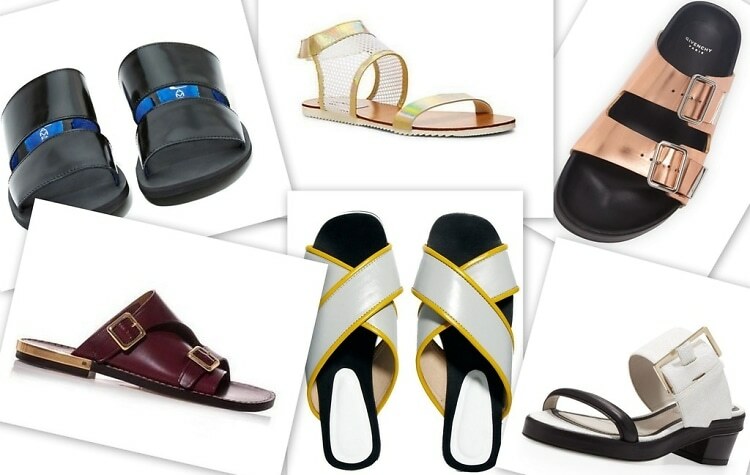 Click through for our favorite reinterpretations of the double-strap sandal! Go HERE to get the original!